Great Opportunity to own a large, 5.91 arce lot, in a growing area. This part of Santa Rosa Beach has been rapidly expanding over the last few years. 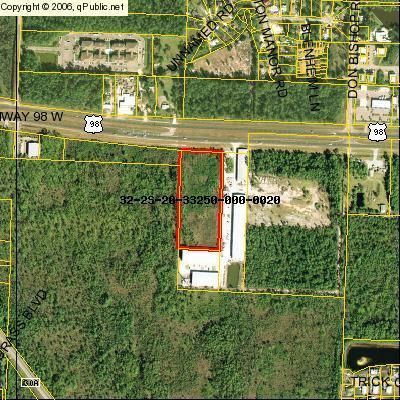 This lot is located close to a new Walmart, Publix Shopping Center, & apartment Complexes. Centrally located on the south side of 98, just past the beginning to 30A. Lot size is 330FT x 780FT and is selling AS-IS. Call for more info.